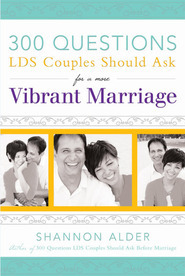 Ask the perfect questions and receive answers full of wisdom with this easy-to-use guide. Learn from your parents the time honored traditions and habits that have made them who they are today, including their views on spirituality, what they learned in their youth, how they feel about parenting, and much more! 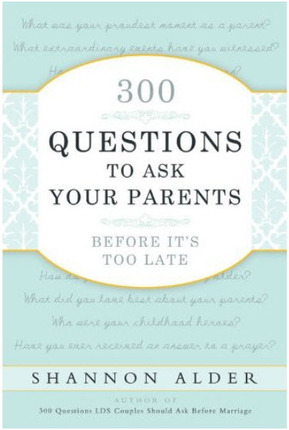 With over 300 questions, this guide is a sure way to help you know your parents better. Shannon L. Alder is an inspirational author that writes on the topic of relationships. Her tidbits of wisdom have been published in over 100 different books, by various relationship authors, and in several online magazine articles (Psychology Today, Huffington Post, etc.). She runs an online Facebook community dedicated to staying positive. You can become a part of her tribe of misfits by visiting: www.facebook.com/shannonlalder. All the proceeds of her books go toward sending her on medical missions around the world. In addition to her humanitarian work, she owns The Positivity Shop™, an online store that sells fair trade goods, eco-friendly products, and products that support various global and social causes. 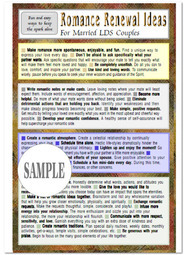 Visit: ThePositivityShop.com. Everyone needs to fill this out!! A very great idea! I purchased this for myself and parents.